Stephen Collins Foster (1826–1864) was an American songwriter known as "the father of American music". He was America's first professional pop composer and was the first American songwriter to contract with a publisher for royalty payments. He is also credited with formalizing the “Refrain-Chorus-Ending” format of American song standards. Foster composed over 250 songs, all hand-written and sent to publishers using the U.S. Postal Service of the mid 1800's. Many of his songs were thought to be autobiographical, and two of his songs became official state songs: "My Old Kentucky Home, Good Night" (the state song of Kentucky) and "Old Folks at Home" (the state song of Florida). Some of his songs were used in Minstrel Shows (the first American Musicals) where his lyrics unveiled the realities of slavery. One such song, "Uncle Ned" was used by Abraham Lincoln's anti-slavery presidential campaign. 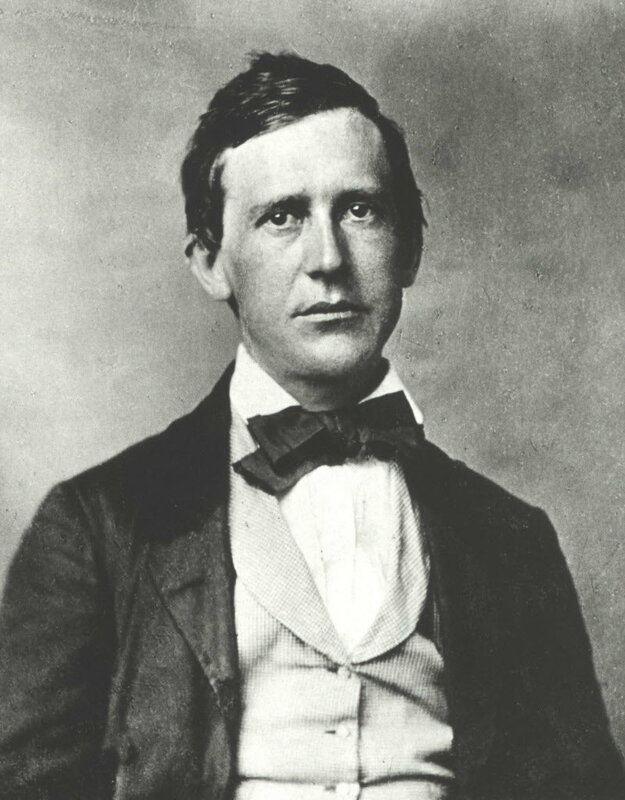 In 1966 the U.S. Congress designated the day of Foster’s death, January 13, as Stephen Foster Memorial Day, a United States National Observance. Stephen Foster was born in Lawrenceville, Pennsylvania on July 4, 1826, the day that John Adams and Thomas Jefferson died. The youngest of nine, Foster was taught the flute and the piano at an early age by a local Pittsburgh musician and merchant. During his formative years he concentrated on music composition and a thorough analysis of harmonies. When he was fourteen he wrote his first song “The Tioga Waltz”, an instrumental for four flutes, and at seventeen published his first song “Open Thy Lattice, Love”. This started a composing streak of several more songs a few of which became popular songs of the day. Indeed, after moving to Cincinnati, Ohio to do bookkeeping for his brother, Dunning, he wrote his first major hit “Oh! Susanna” in 1948. The song became immensely popular throughout the country and was pirated by many publishers since there was very little in the way of copyright law then. Foster sold the rights of “Oh! Susanna” to an old family friend, W.C. Peters, who used the songs to help establish a music publishing business in Cincinnati. "Oh! Susanna" was subsequently published by Holt Music and attributed to the Christy Minstrels, and it wasn't until much later that it was correctly attributed to Foster. ​ Having received such an amazing reception for his songs, Foster decided that songwriting was his profession and in 1849 quit bookkeeping and returned to Pennsylvania to write music. ​Except for a few months living in New York City, Stephen Foster remained in Pennsylvania for the next ten years composing his best songs. He kept a notebook of thoughts, melodies, and lyrics from which he would get ideas, and published many of his songs using the publisher Firth, Pond & Co, New York with which he had several royalty contracts. According to Stephen's brother Morrison Foster in his book My Brother Stephen, when working on one particular song in 1851, he needed a river's name with two syllables for the lyrics. Morrison and Stephen went to a map and pointed to a Florida river named "Swanee", and Stephen replied, "That's it, that's it exactly". The resulting song "Old Folks At Home" was an immediate success and Stephen sold an advanced copy to the Christy Minstrels who made the song nationally popular. Like "Oh! Susanna", it wasn't until much later that "Old Folks At Home" was totally attributed to Stephen Foster. By the late 1850's Foster had fewer hits and his income was dwindling as he was drawing more money from his publisher than he was producing. As a result, in 1860 he reached a new agreement with Firth, Pond & Co. which entailed moving to New York City. For his first year he had no major hits, but in 1862 Foster wrote one of his top songs, "Beautiful Dreamer", which the publisher engraved for sheet music but, for some unknown reason, did not published. In the same year, to increase his marketability, he partnered with the lyricist George Cooper. In 1863 Foster published 46 songs, 17 with his own lyrics and 29 with Cooper, none of which became a hit. The following list contains what are considered Stephen Foster’s ten best songs, although there are others which might also qualify. Foster was the composer and lyricist on all of these songs. ​In 1864 at the New England hotel in New York, Stephen Foster was found in his hotel room unconscious and bleeding from a head injury caused by a fall in his room. He was transported to Bellevue Hospital where he recovered consciousness enough to ask for his family. The medical profession had not advanced enough to save him, and he slipped into unconsciousness and died three days later on January 13, 1864 at the young age of 37. What some consider his masterpiece, “Beautiful Dreamer”, composed in 1862, was finally published two months after his death. Three Hollywood films have been made of Stephen Foster's life: Harmony Lane (1935) with Douglass Montgomery playing Stephen Foster, Swanee River (1939) with Don Ameche, and I Dream of Jeanie (1952) with Bill Shirley. Although Stephen Foster never wrote an autobiography, in 1896 his brother Morrison published a short book about Stephen's life called My Brother Stephen which was republished in 1932 by the Foster Hall Library.